I'm currently finishing up the fifth Gray Whale Inn mystery, and will be sending it on to my editor at Midnight Ink today. I have several title ideas, but no finalists yet... it is a winter mystery, and it's been fun to write! Thank Goodness there is another Gray Whale on the horizon!!!! I am hooked. Love Natalie and all the characters on the island. It does make me homesick for seafood however, can't get the fresh stuff living in the midwest. So glad you enjoy the books... thanks for letting me know! I am really looking forward to reading another mystery/adventure with Natalie.. These books can only be read with cake and large mug of hot chocolate :0) The food in each book is mouthwatering .Yum!! 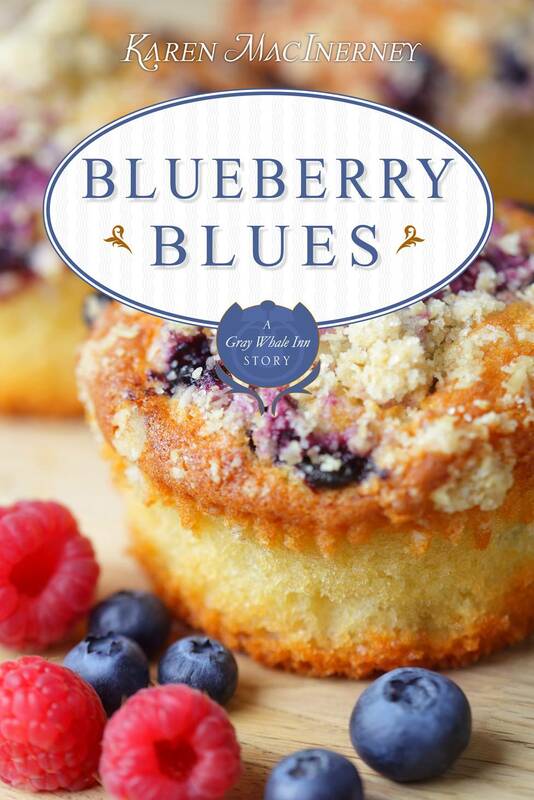 Any chance Blueberry Blues will ever be available on Nook? I need something to tide me over! Thanks, Edel... hope you enjoy it. And yes, they can be hazardous to your waistline. Shara, unfortunately it's just on Kindle for now, but that may change... will post if it does. Thanks for asking... so sorry to disappoint!